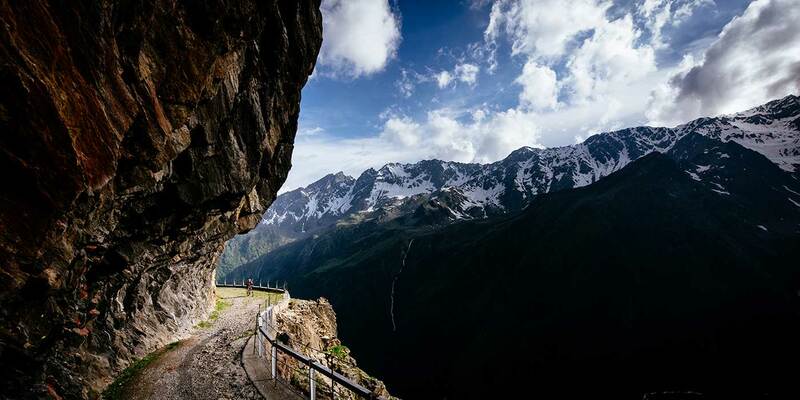 Bike tours are some of the most fun and challenging adventures you can have on two wheels — you get to travel across hundreds of miles, different elevations, countless challenges, and brand new places. But it isn’t as easy as consecutive weekend rides: For an intense multi-day race, you’ll push both your body and your mind to the limits. And to give yourself the best chance for success, you need to make every bite of food and every gulp of liquid count. 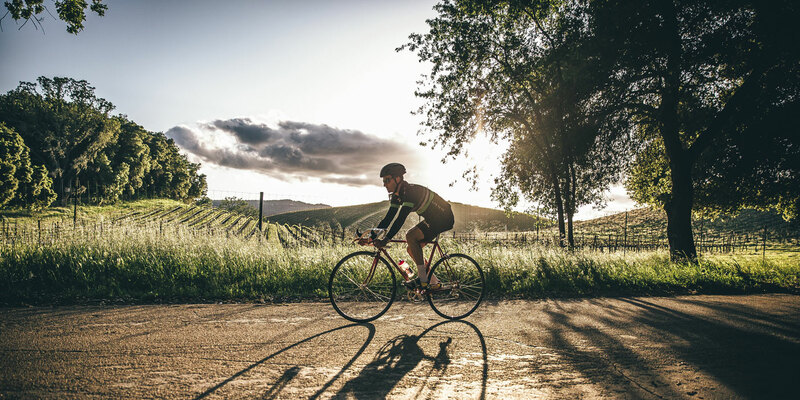 We sat down with Clif Bar & Company nutritionist and cycling enthusiast, Jessica Chon, to get the essential nutrition tips to help you crush your tour and have the experience of a lifetime. For best results, when you’re biking, get your energy from carbs and fat. Then, when you’re resting, get some energy from protein. Why? Carbs give you fast energy for your muscles — the faster you go, the more your body will use carbs. 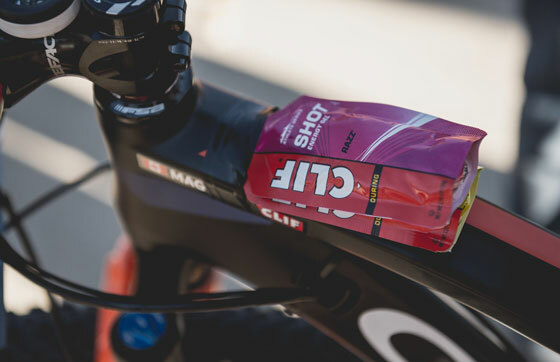 Also, our bodies can’t store a lot of carbs so it’s important to eat while riding; aim for 30 - 60g of carbohydrates every hour, which equals one CLIF BAR® energy bar (38 - 46g of carbs), 4 - 8 pieces of CLIF® BLOKS™ energy chews (8g of carb per piece), 1.5 - 2.5 CLIF® SHOT® energy gel (24g of carbs). Fat, on the other hand, takes longer for your body to digest and turn into fuel. 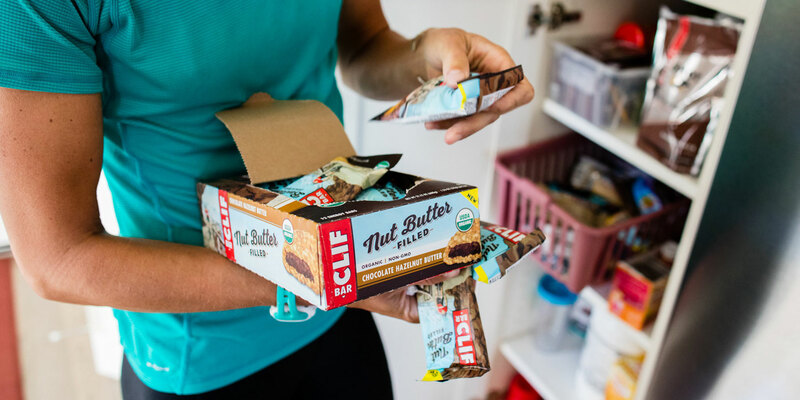 If you’re going easy — like on a long descent — you can eat a CLIF Nut Butter Filled bar (11g of fat). If you have a hard stretch ahead, however, you’ll want the fast energy of carbs with easy and convenient sources like CLIF SHOT energy gel or CLIF BLOKS energy chews. If you get sick of eating, however, try eating smaller and more often — your body will suffer if you stop eating all together. Also, try drinking coffee to energize you and reduce how hard your ride feels. As you ride for hours in the sun and at higher altitude, you’ll use a lot of fluids even if you don’t feel thirsty. 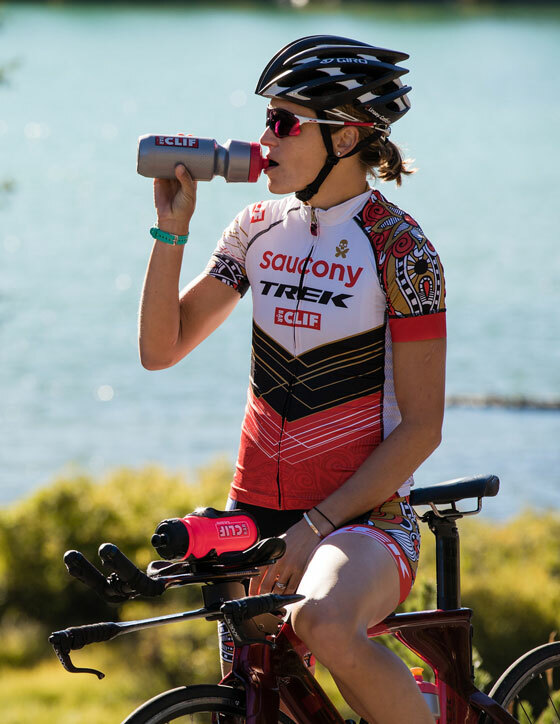 When you bike, drink a bottle of water or hydration mix each hour to stay strong, alert, and focused. CLIF® Hydration Electrolyte Drink Mix can help replenish your carbs and electrolytes, but plain water is fine too — whatever tastes good to you will encourage you to drink more. When you finish, drink fluids to rehydrate too. For example, drink a recovery shake, like CLIF® Recovery Protein Drink Mix to get liquids and nutrients to jumpstart your recovery. Also, air travel can dehydrate you before you even begin your bike tour. Instead, enjoy CLIF Hydration Electrolyte Drink Mix on the plane and start drinking water as soon as you land. Jessica explains it takes about 24 hours for your body to recover: after a hard day of biking, you’ll need to refuel your carbs, rebuild your muscles, and refill your fluid levels. On a bike tour, however, you only have one night to rest before the next day of biking — that’s why you have to do everything you can between rides. Take advantage of the 30-minute window after you finish (when your body uses nutrients quicker) by eating as soon as you stop for the day. If you go to a restaurant afterward, order appetizers first so you don’t waste time. Jessica also recommends 20 grams of protein during that window, which is equal to one CLIF® BUILDER’S® protein bar or two servings of CLIF Recovery protein drink mix. The right strategy for your nutrition, hydration, and recovery will help you perform your best on a bike tour. But don’t wait to try different types of food/fluids and different amounts to find what works for you.